Should climate change worry us? If the Intergovernmental Panel on Climate Change is right, our planet is heading for some big upheavals. By 2100, it predicts, global sea levels will have risen by 9cm to 88cm, and average temperatures will be about 1.5 to 5.5C higher than now. But does this really spell doom? After all, we humans are very adaptable - that is why we are successful. BBC News asked a range of opinion leaders how worrying climate change is - and what we should do about it. "Global warming alarmism is an implausible theory for which there is little scientific evidence"
"Climate's a grave concern - but Kyoto has arguably worsened our chances"
"We should weigh costs and benefits of possible climate proposals"
"Global warming threatens a great reversal of human progress"
"Kyoto remains the bedrock of any credible strategy"
"International companies have a major role in meeting the energy challenge" "
Potential global warming is much less worrying than the policies proposed to deal with it. The world cannot be put on an energy rationing diet because the world is not energy rich, but poor. Around two billion people cannot hope to participate in the benefits of industrial civilization until they have electricity. This cannot be achieved using the most expensive forms of energy, but will require using vast amounts of the cheapest - coal. Building brighter futures for the world's poor will almost certainly not cause climate catastrophe. Global warming alarmism is an implausible theory for which there is remarkably little scientific evidence. The claim that the 20th Century was the warmest in the last millennium has been shown to be based on methodological errors handling complex data. If the computer models that predict rapid future warming were realistic, then there should have already been much more warming than the miniscule rise over the past 30 years. Even if significant warming occurs, the potential adverse impacts have been vastly exaggerated (sea level rise) or made up (more storms, malaria). And even if all the scare stories became real, the Kyoto Protocol isn't the solution. It's a tremendously destructive dead end. Climate change is a cause for grave concern. As a matter of urgency, we must reconcile ourselves to committed action to stop aggravating these changes. This means curtailing our emissions of greenhouse gases rapidly enough to halt their further accumulation in the atmosphere. Failing to do this will raise severe costs for this generation - and potentially incalculable costs for future generations. Sadly the random, sub-global and inadequate nature of the Kyoto Protocol negotiations has arguably worsened the chances of success. They have failed to provide an adequate or effective global template for further action. To achieve success, we propose "Contraction and Convergence" as the basis for this reconciliation. Based on the scientific understandings of the Intergovernmental Panel on Climate Change, the approach is a full-term global framework which will share the task of halting the accumulation of greenhouse gases. It is based on the principle that an equal quota of greenhouse gas emissions should be allocated for every person on the planet. After scientists have agreed how much CO2 pollution the planet can withstand, every person in the world would be allocated an "emission quota". In other words each person would be allowed to emit an agreed amount of CO2, in order to keep the accepted global level constant. In practice, rich countries would have to "contract", or reduce, their emissions; while poor countries could actually increase theirs, so that global emissions "converge" at equal, accepted levels. This is the first step in building a constitution. This has been described as "taking the rights-based approach to its logical conclusion". Climate change is worrying. Almost everybody agrees on that. How worrying, and how we should deal with climate change are more difficult questions, bedevilled by uncertainties. Here it is important to distinguish what we know from myths and prejudices. As always we should weigh costs and benefits of possible proposals, recognising that these will be judged in a complex mix of political considerations. And Kyoto should be judged for what it is - a political signal more than an effective policy. That we should research into alternative energy sources and also search for innovative ways of sequestering carbon seems beyond doubt. Arguments about the extent and timing of limits on carbon emissions are less clear. Moreover, even if we froze CO2 concentrations at current levels there would still be climate change due to inertia. Therefore we have to be pragmatic and recognise a need for adaptation planning. Global warming threatens a great reversal of human progress. Thousands of people from the British grassroots to the Prime Minister Tony Blair and Chancellor Gordon Brown are aiming to make poverty history as part of a growing movement to reform the global economy. Targets include greater trade justice and more debt relief. But global warming has been critically overlooked. Like a fire smouldering in the basement, it threatens to burn down decades of work to reverse global poverty, and all the progress built up by community groups, governments and development agencies. To rescue the situation we need an effective global framework to stop climate change that is based on equality and gives a good deal to the people of the Global South. More than that, from now on we have to ensure that all our economic models, policies and initiatives used to better the human condition pass the test of being both climate-proof and climate-friendly. Climate change is a huge problem. I believe it has three defining characteristics: the enormous scope of emissions; a long timescale over which emissions and impacts will accumulate; and high uncertainty about the impacts and the economics of responses. The Kyoto Protocol is a proposed solution which takes these three characteristics into account. However, the big challenge is to persuade the US to participate in this - or any - framework that would require it to accept real emission limitations. Despite all the opposition, no country has come forward with credible alternatives to sequentially negotiated emission limitations. Of course, many additional things are needed, and some may well require international negotiations. But the Kyoto structure was developed for good reasons, as the outcome to seven years of almost continuous negotiation, with the US Administration as a key architect. It has weathered the storms, and remains the bedrock of any credible strategy going forward. Coal and oil have successfully fuelled the economic development of the western world for a century and a half, and demand for energy will continue to rise sharply. But by starting to manage our carbon dioxide emissions now, we may be able to limit the effects of climate change to levels to which we can adapt. The transition to a world that does not depend on fossil fuels will take decades, and we need a three-pronged approach. 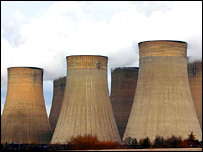 First, in the developed world we must be less profligate with energy; second, business and government must collaborate to support research, development and implementation of cost-effective alternatives to fossil fuels (biomass and solar for example); and third, when we use fossil fuels we must look at ways to trap and store the carbon they produce, and not release it to the atmosphere. Starting now and laying foundations for the future are matters of urgency, and business has a key role to play. At Shell, this process is underway. Today, we are investing in wind power, solar energy, hydrogen, biofuels, and clean ways of using coal. Transforming the way we supply and use energy will take a long time. I believe that international companies - like Shell - have a major role to play in meeting the energy challenge.